Although a Taliban commander and aide later told the Associated Press by phone that Baitullah Mehsud and his wife had been killed in the drone strike [intelligence sources also confirmed this fact, saying his body had already been buried], Foreign Minister Shah Mehmood Qureshi told reporters that authorities would travel to the site of the death in order to “to be 100 percent sure.” CNN‘s correspondent further noted that Pakistani officials will also conduct a DNA test in order to fully verify this development. Why the caution? In June, Baitullah Mehsud was reportedly almost killed after he attended a funeral in Waziristan, and a similar report also circulated last September. However, the fact that Mehsud “has shown up alive after previous near-misses,” ultimately undermines Pakistan’s credibility. Therefore, despite officials being nearly 100%, both Pakistani and U.S. officials aren’t taking any chances. In the aftermath of what is still considered an alleged death, it is important to consider two things: First, who was this shadowy figure, aside from being the leader of the Pakistani Taliban? Secondly, how will his death impact the Taliban and the military’s offensive? The Taliban leader was in his mid-late 30s and hailed from the Mehsud tribe of South Waziristan. He was known to suffer from diabetes, an illness that led sources to wrongly claim he died of kidney failure in September. 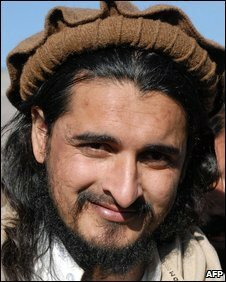 Based in South Waziristan, Mehsud proclaimed himself the leader of the TTP in 2007, an umbrella organization that was allied with with North Waziristan Taliban leader Hafiz Gul Bahadar and South Waziristan leader Mullah Nazir to form the Council of United Mujahideen, a group that had pledged allegiance to Al Qaeda and the overall Taliban commander, Mullah Omar. He is suspected of being behind the assassination of former Prime Minister Benazir Bhutto, a charge he denies. Although Mehsud has been linked to numerous attacks like Islamabad’s Marriott Hotel and the Peshawar’s Pearl Continental bombings [officals say he can be linked to 80% of the suicide bombings in Pakistan], he has only personally claimed responsibility for a handful of incidents, including the Lahore police academy attack, one on an Islamabad police station, a suicide bombing on a military convoy in Bannu [all in March], and a shooting at a U.S. immigration center in New York, which killed 13 people. Each of the aforementioned attacks, he noted, were carried out in response to “U.S. drone attacks,” (ironic, then, if he was killed by one of those strikes). Some analysts believe in the centrality of leadership cadres in insurgencies. But I’d just point out that the killing of Abu Musab Zarqawi in Iraq in May of 2006 had no effect whatsoever on fundamentalist guerrilla attacks in that country….Groups like Hamas and the Taliban have a complicated relationship to clans and cliques that easily survive the assassination of even an important leader. What are your own thoughts – will Baitullah Mehsud’s death have a major impact on Pakistan’s war on the Taliban, or only a marginal effect? Pakistan’s Military Offensive: What’s in a Name? 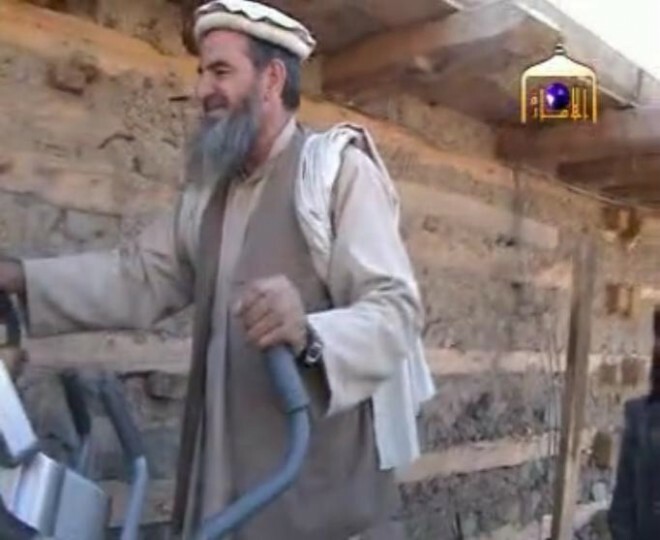 On Tuesday, news agencies cited a militant spokesman from Hafiz Gul Bahadur‘s group in North Waziristan, who said they were “scrapping” their peace deal with the government because of U.S. drone strikes in the region. The Taliban faction had initially agreed to stay on the sidelines during the offensive against Baitullah Mehsud in neighboring South Warizistan. In the past, reported the Wall Street Journal, the rivalry between the two militant commanders and the peace deal had helped Pakistan’s military focus on Mehsud. Now, noted the BBC’s Syed Shoaib Hasan the end of the agreement “leaves the army facing a near impossible task – no one has ever defeated a combined insurgency in the Waziristan area.” The Pakistani government on Tuesday sought to quell such speculation, claiming the peace deal had been signed with the tribal elders and not with Taliban militants. In an interview with BBC World Radio yesterday, Interior Minister Rehman Malik further insisted that countering Bahadur’s group would not be “that difficult,” affirming, “we will take over” [the Waziristan area]. This snapshot of Swat, coupled with the fact that the military has failed to kill or capture a top Taliban commander, makes the idea of “success” all the more abstract, and the new push into “the far more treacherous terrain” of South Waziristan worrisome. Are we essentially going down the same inconclusive path of military offensives past? Rehman Malik, in his talk with BBC World Radio, reassured the skeptics by simply noting, “measures have been taken to prevent these militants from regrouping,” (he would not specify the measures so as not to compromise the secrecy of the mission). What seems to be occurring therefore, is an effort on the military’s part to reframe the war in a language digestible by the public. They are challenging the convoluted interpretations of Islam and Sharia espoused by these Taliban-linked militants, and are no longer allowing them to hijack and leverage this space. However, while certainly a part of unconventional warfare, winning will still take more than just good PR. As Shuja Nawaz noted, “Troops, training, and equipment are one part of a two-part approach to counterinsurgency. The other, and some might say more important part is the underlying political dynamic and governance, without which military actions will fail to gain traction or produce a lasting solution.” In our case, it means we once again concede to the militants. Dawn [link is now gone] also reported that the TTP leader had died from kidney failure, adding, “Baitullah Mehsud was known to be suffering from diabetes and hypertension.” However, these reports have not been independently confirmed, and the militant organization is [not surprisingly] denying he is dead. The Nation also cited “an insider source” that said Mehsud did not disappear due to health reasons, but because of the military offensive in the tribal areas. According to CNN, Mehsud’s death (if reports are true) “would leave a power vacuum within the Mehsud tribe and the Pakistani Taliban…Since there was no second in command of the Mehsud tribe, tribal splits are expected.” Analysts predict a power struggle to appoint the next leader of the TTP.